Happy Monday Y'all! You may have noticed, but I took another "break" from blogging last week. I don't know what has been with me lately, but I just haven't been feeling inspired, and with the traveling I have been doing, it was just easier to take a little break.. But I am back and don't plan on missing any more days! Now can we talk about this dress for a second?! 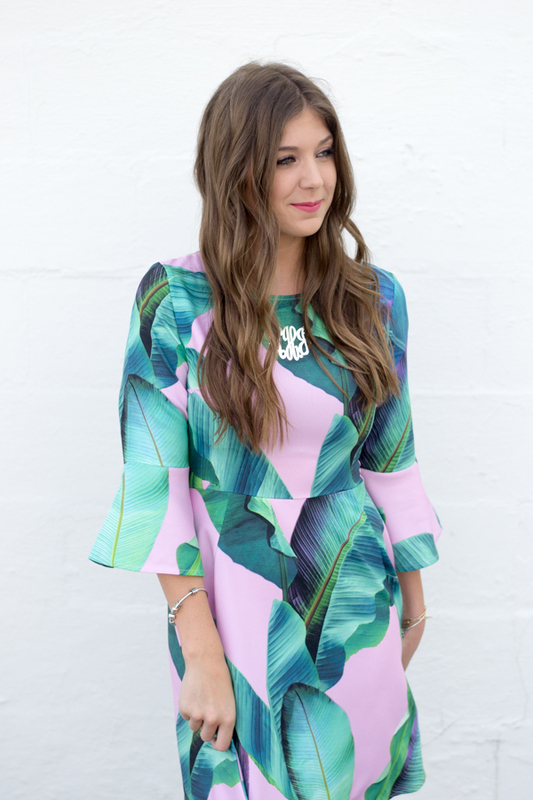 I have been loving all things palm print right now, and this dress is no exception! I love the pink detail and the bell sleeve detailing made it hard to resist! It is currently on sale right now for under $46! OMG the colors of this dress!! You look absolutely gorgeous! Oh my gosh I need this dress in my life!! That print is gorgeous! That is the PERFECT summer dress! Seriously so ideal for any occasion. This is such a cute look! Love the print, so fun and flirty! What a fun dress! The pattern is so unique and beautiful! You look so pretty and tan! 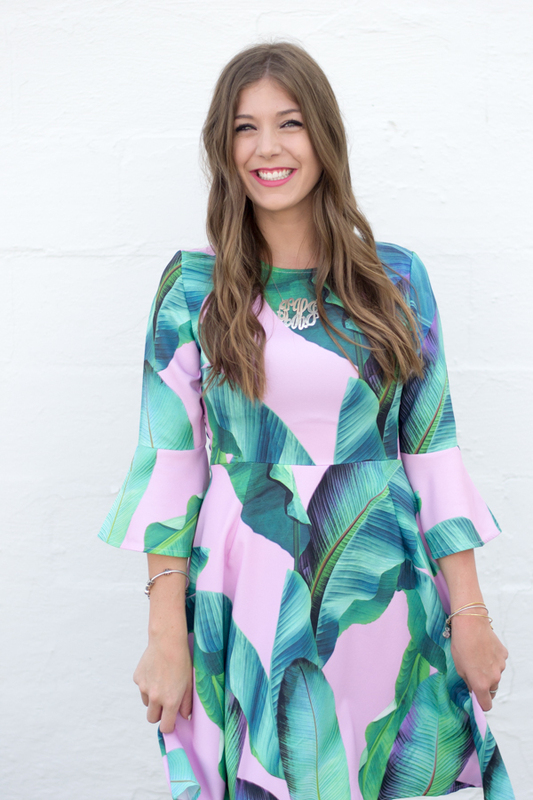 Loving the fun print of this dress and it's such a flattering fit, too. Oh my goodness! That dress is amazing on you. Love it, Kelsey! Ahhh! I absolutely LOVE this dress! I neeeeeed it! I love your dress! It's perfect for Summer! that dress is so adorable. I love the cut, the sleeve detail and the pink and green contrasting colors. I feel like you could get a ton of wear out of it too! I am absolutely OBSESSED with this! The colors in it are just so gorgeous and you look stunning! This dress is seriously the prettiest!! I love the pink background - it is so bright and fun! That is just the perfect summer pattern! 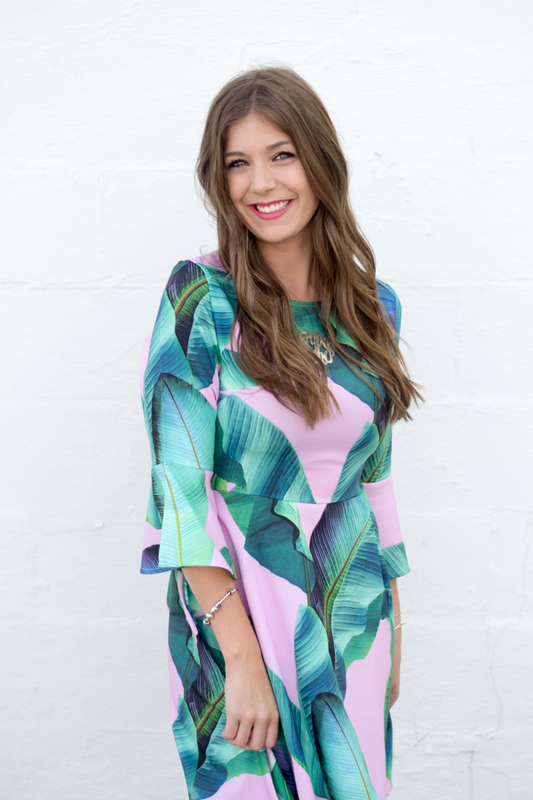 Palm prints are my absolute obsession during the summer months and this dress seriously couldn't get any cuter! I love love the bright colors! There's nothing better than pink and palm print! 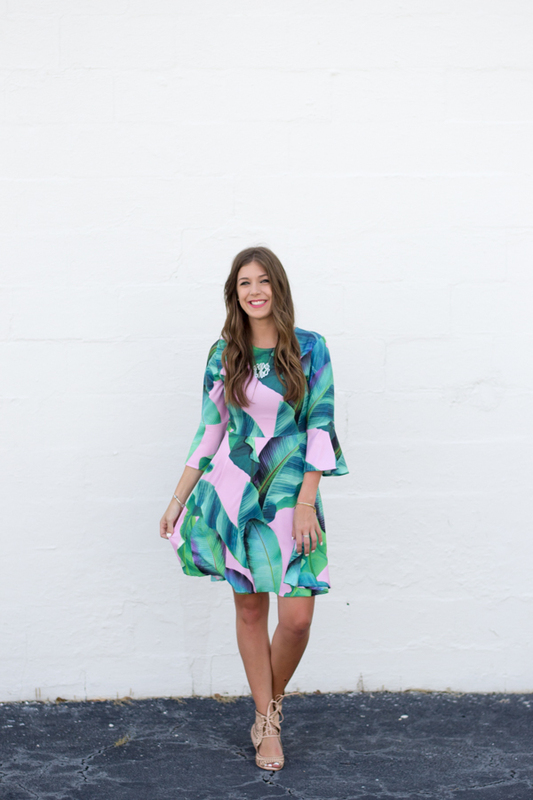 this dress is so cute, what a fun and colorful print! Totally obsessed with this dress! I now need it!! You look adorable! 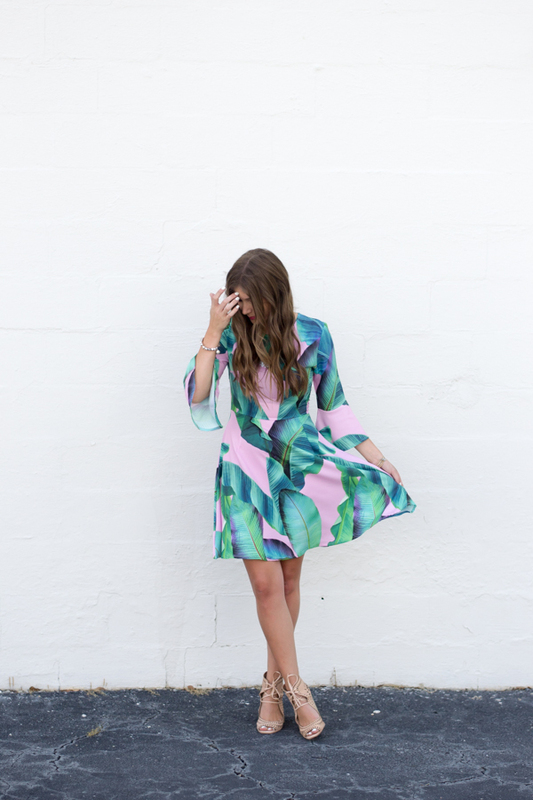 I adore these prints and this dress is so lovely! I also like these shoes, perfect outfit! This dress is so cute! I'm in love with anything palm print!